You don't need a mansion to cook up a dream kitchen. Micro-living and apartment homes can offer you all the amenities of a roomy kitchen with a few design tricks. Sure, any appliance company specializing in smaller homes might suggest this, but just imagine how much space you can save by downsizing the largest units in your kitchen. 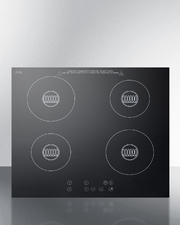 Standard household stoves are sized at 30" wide, but there are plenty of options in 24" and even 20" widths. Yes, you lose a little oven capacity, but consider how much more you can do with 10" of space! 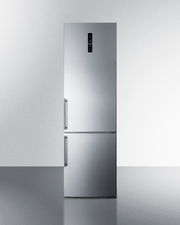 The same goes for slimmer refrigerators, many of which are available in taller heights to make up for the capacity lost in slimming the width. 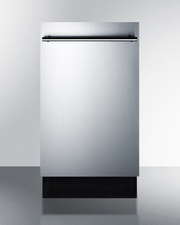 Explore your options before accepting the standard oversized appliances most commonly found in big box stores. When cabinet and drawer space is limited, you simply have to get creative. Install racks with S-hooks on your kitchen walls to help keep utensils, towels, and mugs easily accessible. Magnetic strips are also a great way to hold smaller items, including knives, cheese graters, or magnetic spice canisters. Pots and pans can take up valuable cabinet space, but when you hang them vertically, they stay out of your way while lending some rustic style. There's really no reason NOT to have your cabinetry reach the ceiling. 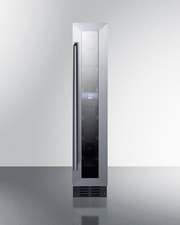 Keep those rarely-used appliances or seasonal items stored high and know where your fold-up ladder is kept. Then enjoy all the closet space you've saved! More and more kitchens are being built without doors, and we couldn't agree more. Open kitchens create a warmer, more inviting atmosphere while also eliminating the design limitations of accommodating a fully open door system. Kitchens with island setups offer plenty of possibilities, creating both extra work and eating space right in the center of activity. Consider finding stools or chairs that can slide under the island when not in use, saving the cooks from constantly tripping over unnecessary seating. If your eating area is located in your small kitchen, consider using seating that doesn't have armrests. While they may be quite comfortable for ten-course meals, they also take up far more space and might leave your guests feeling a little tight. Rolling carts are a great solution for space-challenged kitchens. When you run out of working counter space, take some of your work to a multi-level cart. Many on today's market come fully equipped with cutting board tops and storage hooks, making it easy to utilize the space in a pinch. When you're done, just roll it out of the way, whether that means under a counter or back into storage. Those geometric boxes look great on a supermarket's shelf, but they can take some serious real estate out of your kitchen. When possible, reorganize your boxed grocery items with individual packets (such as instant oatmeal or teabags) into plastic bags. You can even do this with open pasta and cereal boxes. This will save on space and help keep these dried items fresher longer. 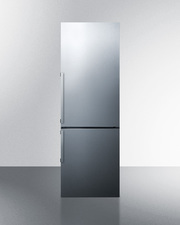 Maybe your fridge is looking a little lonely. If you use more cabinet than cold storage place, consider storing canned items in your refrigerator. 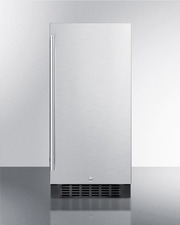 It won't damage the items, and keeping your refrigerator at least 30% full is generally recommended for a better cooling performance. You wouldn't be human if you didn't have SOMETHING that remained untouched on your shelf for more than a year. Make a biannual appointment with your kitchen to go through those rarely-touched items. It might feel wasteful to throw out that expensive siracha salt or farmer's market jam, but an expiration date is there for a reason. We know you're already maximizing your shelving space, but how about the cupboard door? Install a horizontal bar and use those handy S-hooks to hang measuring cups, spoons, and other utensils. 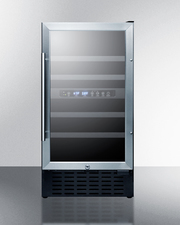 While some of us dream of unlimited cabinet space, others see a wooden door and say, "Why can't I put my wine there?" We can't think of a reason to not! 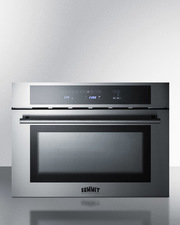 Many companies, including Summit, offer stylish built-in appliances in a variety of sizes (including as thin as 12") that can complete any undercounter space.